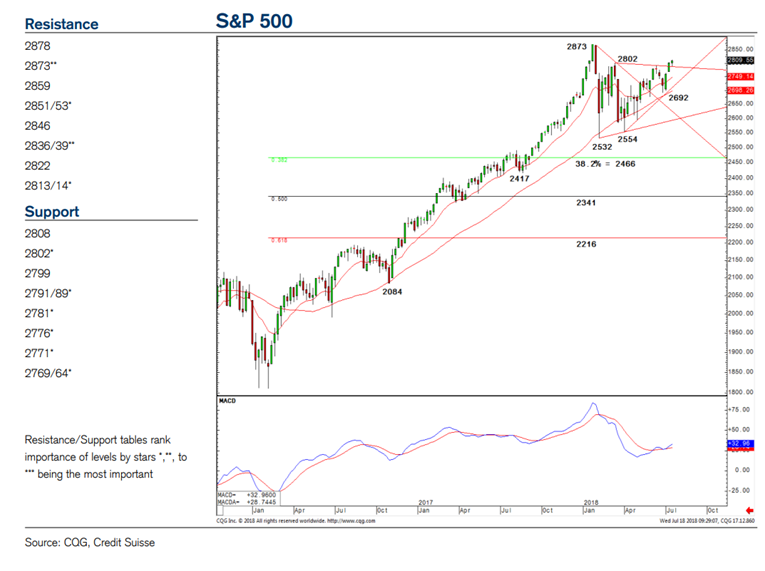 The S&P 500 has broken above the key 2800-2802 level paving the way for a resumption of the bull trend, according to David Sneddon and his team at Credit Suisse. This level represents the March high and the 78.6%; retracement level from the January/February decline. Resistance now stands initially at 2813/14 and then 2836/39. Further forward the record high of 2873 and 3000 level are probable targets.